Monday and Tuesday were tough days. I started building out the hull. This is another first, so… my strips were too thick, too wide, and not planned out so well. Even after reading up on it… I really had to step through it a few times before I could really see the process. 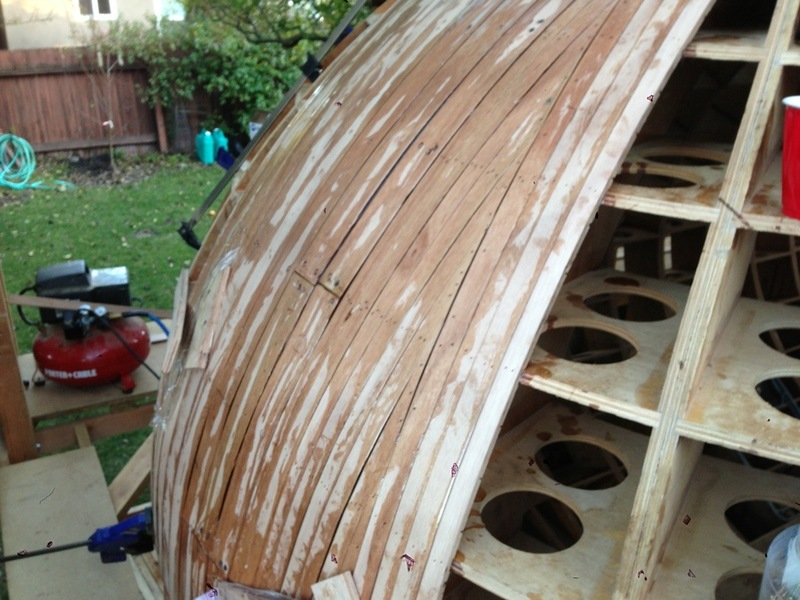 Lucky, this boat is entirely hull, and I will be skinning the inside too, so there will be lots of practice. Today I took a step back and worked on the strip layout as well as the strip dimensions. For the dimensions… I am locked into 1/2 inch thick for this layer. So to make the strips more flexible I made a series of 1/4 inch deep lateral cuts on the table saw and then ripped them in half. Wow, what a difference. Still some learning ahead, but today was much better.